Buy Rose Bite of Ajit Sweets from Mumbai online | Authentic Indian Sweet , Savories and Delicacies from the place they originate by Moipot. Popular for their flavours and variety of mawa bites, Ajit Sweets brings you this light pink coloured rose bites which are tasty and also pretty looking. 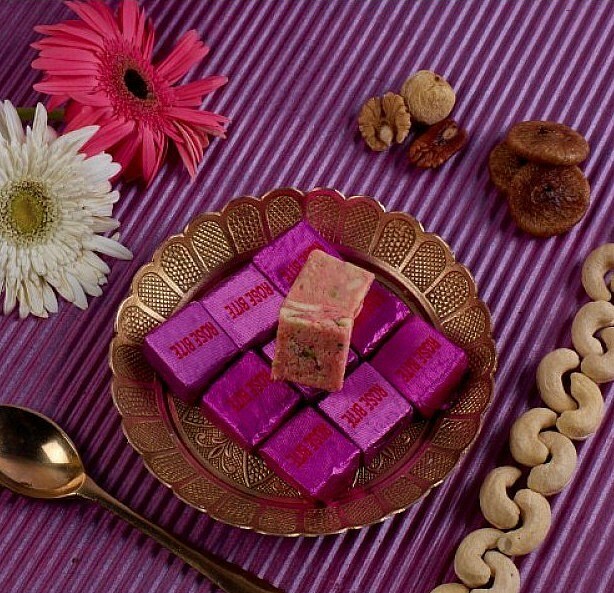 A burst of rose flavour, in the rich, dense mawa bites is a great combination. You will surely love it and it will soon become your favourite.